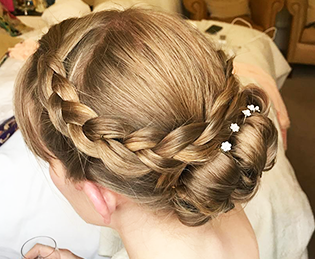 What do you see being big in wedding hair in 2019? 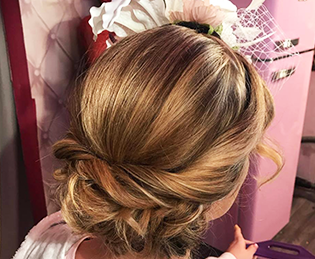 A big trend of 2019 for wedding hair which I am still seeing is loose curls, hair up/half down but with hair soft and twisted back, and continuing with the messy bun and plait which are always a favourite. In terms of preparation, do you have any tips for looking after skin and hair before your wedding? I know you may want to grow your hair but not trimming will cause it to snap off a nice tidy up very 6-8 week will keep it looking tidy. Conditioning treatment are a nice way to prepare your hair but avoid using conditioner on the morning, as this well weigh your hair down and will be hard to work with. Where possible wash your hair the night before the wedding as this will allow some natural oil to return and help the style stay in. The main thing is to do exactly the same to your hair as did for your trial. During the week leading up to your big day exfoliate regularly to get rid of any dead skin cells. Moisturise every day to avoid any dry patches. Avoid using any new products the week before the big day to any reactions. Make-up wise, what bridal trends are popular at the moment? 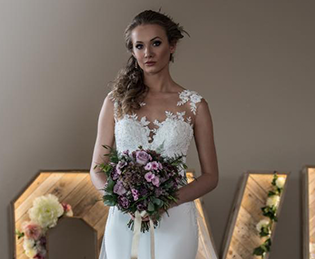 Brides are going for a natural colour with pinks or browns, so we are creating soft, smoky eyes and adding some lashes – they add a little glam. Lip colour has got a little bolder this year – not quite red but but a warm pink to add colour. Not forgetting a little highlighter! Have you ever had any unusual requests for wedding hair/make-up? I can’t say we have had any unusual requests, some time we may have to advise if we don’t think the look or style will work with skin tone or hair length, if this is what the bride requires then we work with it. Whereabouts do you work and how can people contact you? We cover the whole of the North West including Lancashire, Greater Manchester, Liverpool and Cumbria. We even travel abroad, allowing the bride to have a trial at home before the big day and saving any stress on the big day. 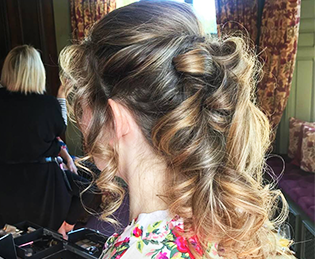 Get in touch for more information at hairbykelly.co.uk or call 07834987710 for advice on the latest bridal trends.